Why don’t we know about the oldest grinding stones in the world, found in Australia, or the crops cultivated by Aboriginal Australians? Bruce Pascoe is helping change that. 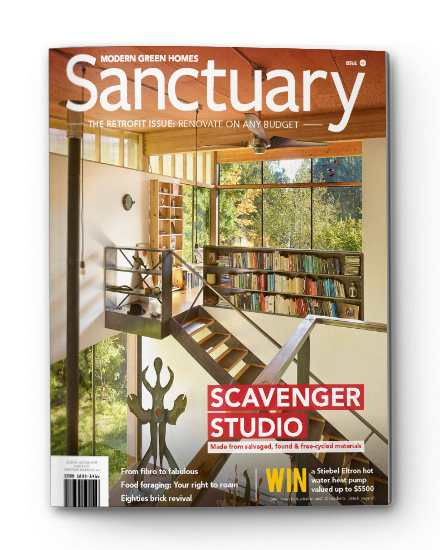 This article was first published in Issue 136 (July–September 2016) of ReNew magazine. If you were asked who the world’s first bakers were, what would your answer be? Most would think first of ancient Egypt where it is believed bread was first baked around 17,000 BCE. 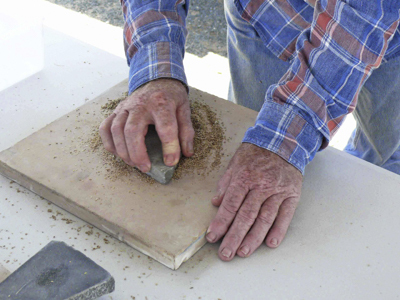 And yet there is evidence to show that grindstones in Australia were used to turn seeds to flour 30,000 years ago. Archaeologists found the evidence for this at Cuddie Springs in New South Wales in the shape of an ancient grinding stone which had been used to reduce grass seeds to flour. These were the bakers of antiquity. 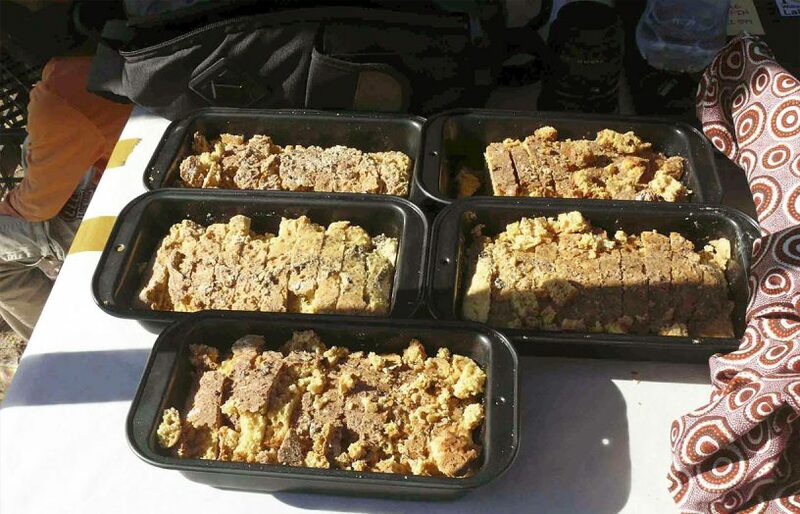 It took Egypt 12,000 years to repeat this baking experiment. Why don’t our hearts fill with wonder and pride? This map gives an indication of how much we can learn from Aboriginal grain production. 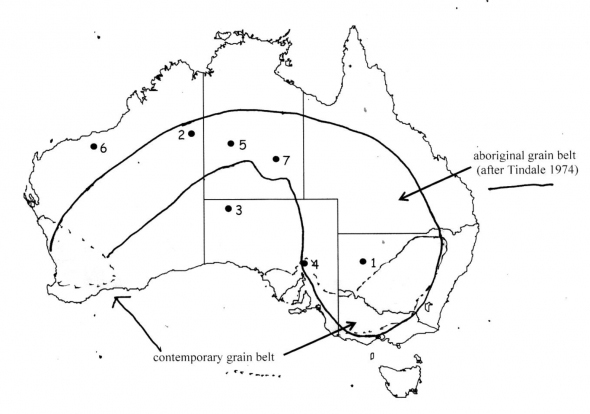 Norman Tindale documented that Aboriginal grain harvests occurred over most of the Australian continent but contemporary grain areas make up less than a quarter of that area. Image: Bruce Pascoe. Australian sovereign nations cultivated domesticated plants, sewed clothes, engineered streams for aquacultural and agricultural purposes, and forged spiritual codes for the use of seed in trade, agricultural enterprises, marriage and ceremony. This was and is an incredible human response to the difficulties of fostering economic, cultural and social policies. It may be unique in its longevity but also in its ability to flourish without resort to war. Australia’s reluctance to acknowledge what was lost can be witnessed in our ignorance of the birth of baking, the gold standard of economic achievement. Why is this? Is it a malicious refusal to recognise the economic triumphs of the people from whom the land was taken or a simple culture of forgetting fostered by the bedazzlement of Australian resources and opportunities? If we could rid ourselves of the myth of low Aboriginal achievement and nomadic habits, we might move toward a greater appreciation of our land. 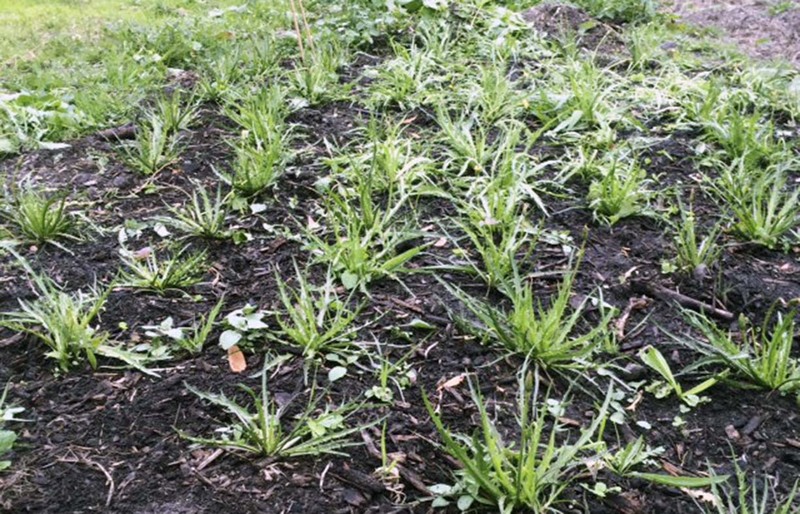 We might begin to wonder about the grains that explorer Thomas Mitchell saw being harvested in the 1830s, and the yam daisy monoculture he saw stretching to the horizon of his ‘Australia Felix’, the early name given to western Victoria. These crops must have been grown without pesticides and chemical fertilisers and in harmony with the climate; surely they are worthy of our investigation. If you search for Australian research into yam daisies you inevitably come across, Beth Gott, an honorary research fellow at Monash University. She has almost single-handedly led the interest in this wonderful plant. Inspired by her work, a Landcare group and Aboriginal and non-Aboriginal people in East Gippsland have begun field trials into the staple of the southern Aboriginal economies. Similarly the fish traps at Brewarrina seen by Mitchell and other explorers created economic conditions that allowed the people to live in semi-sedentary villages of over 1000 people; Mitchell marvelled not just at the villages’ size but also their comfort and elegance. Since Mitchell’s report, however, you will look in vain for later reference to the Brewarrina fish traps even though some archaeologists have speculated that they may be 40,000 years old and as such the oldest human construction on the planet. Even if you accept the more common age of 15,000 years, these structures are still amongst the world’s first. Until recently, the sole publication about them was a 50-page book published in Brewarrina in 1976. When we eventually acknowledge the food plants adapted to Australian conditions and domesticated by Aboriginal people, let’s hope we don’t just celebrate them every ‘Baker’s holiday’ but recognise the intellectual property Aboriginal Australia has vested in them. Criticism of the accepted history of Australia is not unAustralian; it is an invitation to rejoice in everything the land offers and not just those things we inherited from the British. Bruce Pascoe is an award-winning writer, editor and anthologist of Bunurong/Tasmanian heritage. His book Dark Emu Black Seeds: agriculture or accident? is published by Magabala Books. It was named Book of the Year in the 2016 NSW Premier’s Literary Awards. 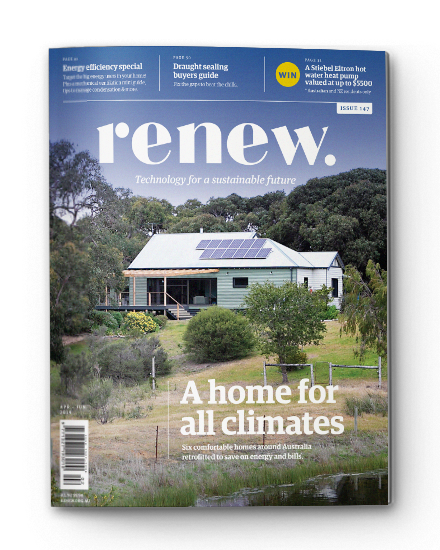 This article was first published in Issue 136 (July–September 2016) of ReNew magazine. 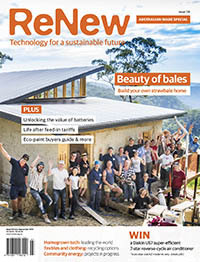 ReNew 136 is an Australian-made special – it focuses on Australian-made sustainable research and production. 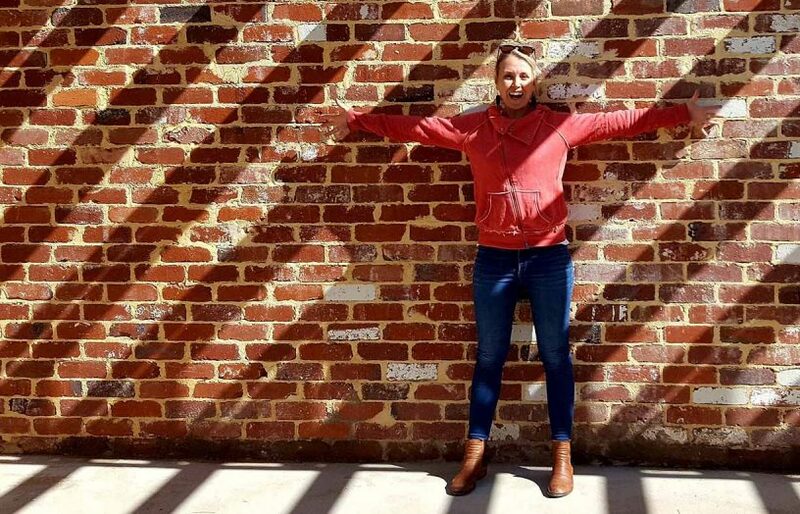 We talk to Jenita Enevoldsen, Renew member, Perth branch co-convenor, and environmental campaigner, about what drives her. Growing vegies with increasing summer heat and less rain doesn’t need to be a battle, writes Carmel Killin. 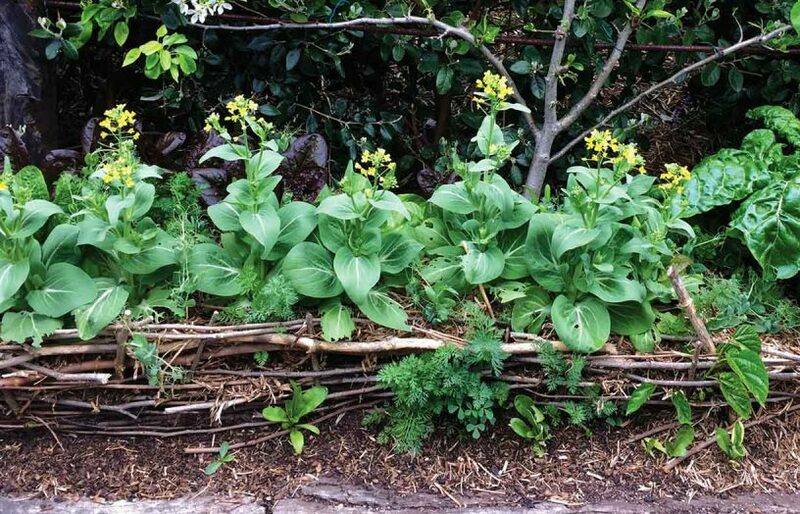 A solution can be found in the water-retaining and humus-rich layers of a No Dig bed. 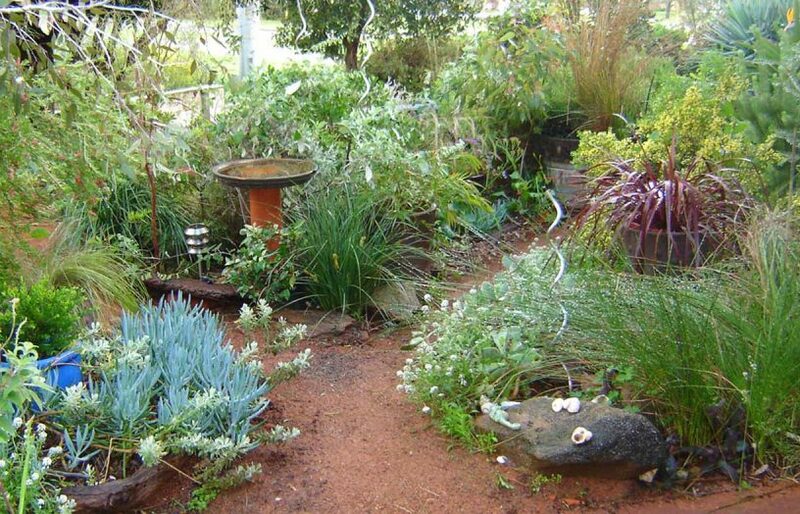 Tips from WA garden designer Cherise Haslam on what to consider when designing a waterwise garden.